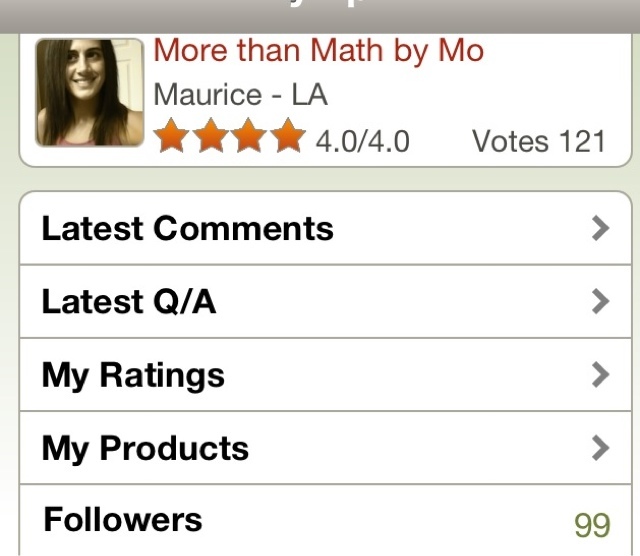 More Than Math by Mo: Only one more! Hello guys-I made it!! I hit 100 TpT followers. I will post my celebration post and giveaway tomorrow due to the Blog Hop that I'm currently participating in. Check back tomorrow (you won't be disappointed).